If you’ve had the cold and flu bugs going around your house this winter, make sure you disinfect and clean your kids’ toys so that no one gets sick a second time! I decided to start with AJ’s bath toys, because those are pretty gross anyway and prone to getting moldy. 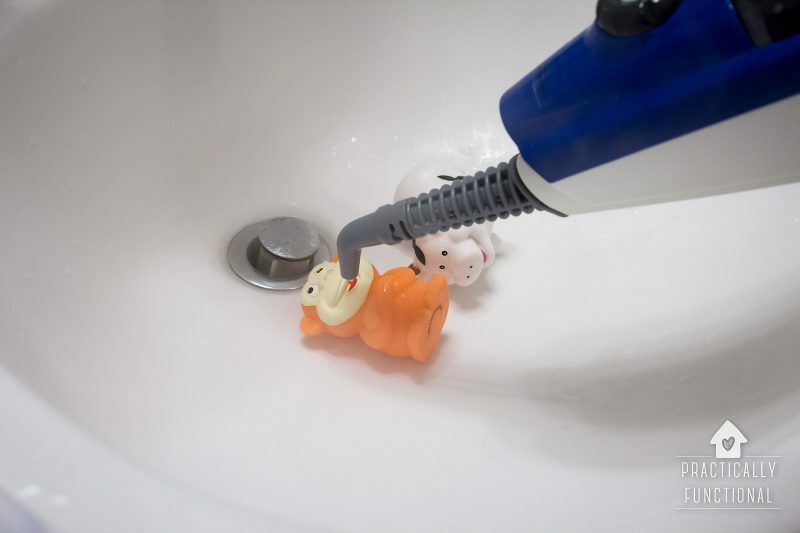 While there are tons of different methods for getting dirt and stains off of toys, if you need to disinfect them and get rid of germs (and not just dirt), there are two surefire ways to do it! 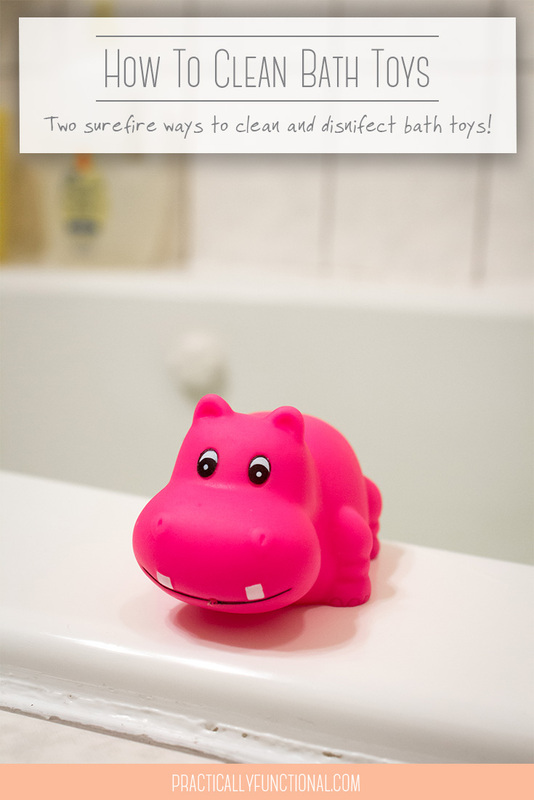 Today I’m going to show you how I disinfect and clean bath toys in our home. First off, there are plenty of ways to clean kids toys, but if your kid has been sick, you actually need to disinfect their toys. I love natural cleaning as much as anyone, but when it comes to the flu bug, bleach is my best friend, and I’m not afraid to use it! 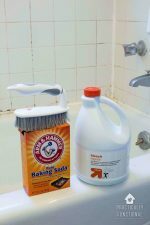 If you really want to disinfect stuff, and not just clean it, here are two tried and true methods. I’m just going to come right out and say it. Bleach. 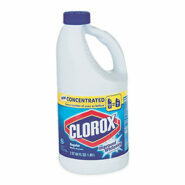 If you really want to be sure that the germs are dead and gone, bleach is the way to go. And it needs to be “regular” bleach. 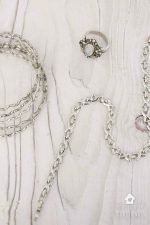 The splashless stuff doesn’t work as well. Regular bleach will say “kills cold and flu viruses”; that’s the stuff you need. 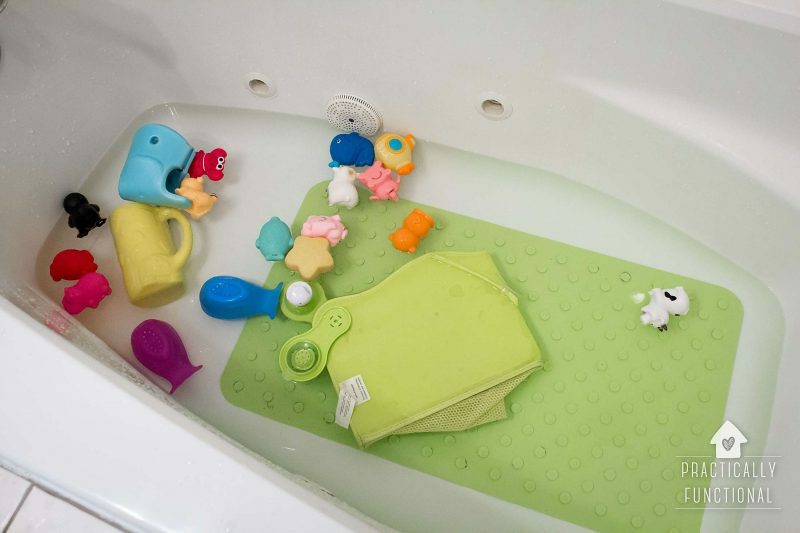 To disinfect bath toys with bleach, add 1/2 cup of regular bleach per gallon of water and soak the toys for 10 minutes. I filled up the tub, added bleach, and let the bath toys (and the bath mat, and cup, and bath toy basket, etc.) soak for a while. 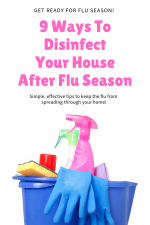 Turn on the bathroom exhaust fan, open a few windows, and get out of there while they soak; that bleach stuff is stinky and can irritate your nose and throat. 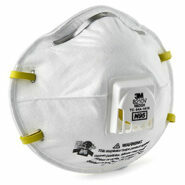 If you’re worried about it, a respirator and some rubber gloves can help protect your respiratory system and your skin. 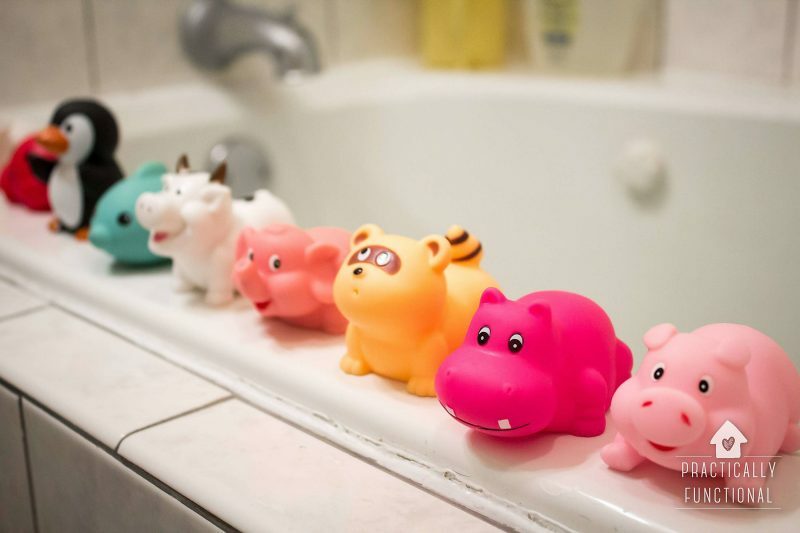 If your bath toys have holes in them so they can squirt water, make sure you fill the toys with bleach water while they’re soaking; this will ensure that the inside of the toys gets cleaned too, cuz you know that’s where all the mold is hiding out! If you’re worried about the insides of the toys getting moldy, grab a hot glue gun and plug up the hole with hot glue! Now, there are certainly other chemicals that can kill germs, such as vinegar, ammonia, hydrogen peroxide, and even just soap and water. 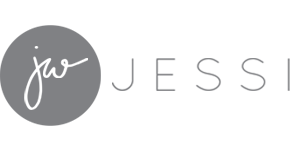 The difference is, bleach is one of the only cleaning agents to be regulated by the Environmental Protection Agency (EPA), which means that it has been extensively tested and shown to kill bacteria safely and reliably, even scary ones like E. coli. And it only takes a little bit of bleach to get the job done, so a bottle will last you a pretty long time. Vinegar, in contrast, does have antimicrobial properties, but is NOT effective against dangerous bacteria like E. coli and staphylococcus. 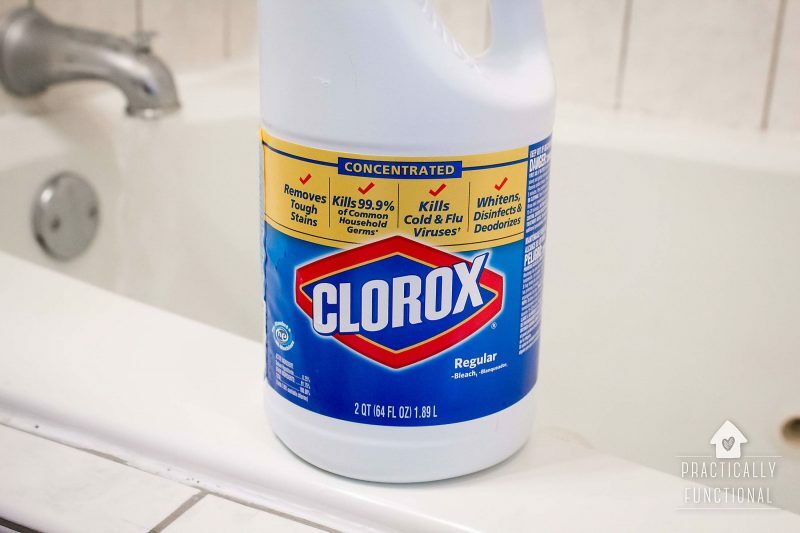 It is certainly a great bleach alternative for general cleaning in some cases. But when you need to actually disinfect something, bleach is better. This article has a great breakdown of the various cleaners you can use for killing germs, but it reaches the same conclusion I have. Even though bleach has its downsides, it is the most effective cleaner for killing germs. This is why it’s the cleaner of choice in places like hospitals and preschools. 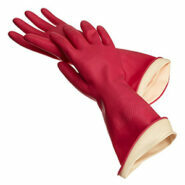 If you’re looking for an eco-friendly, chemical-free way of killing germs, heat is the way to go. This is why medical instruments are sterilized in an autoclave (basically a pressurized heat chamber that sterilizes using heat and steam). If you get something hot enough, germs can’t survive the heat. I love using my steam machine for disinfecting stuff and killing mold. I just fill up the little water tank, turn the machine on, and in a few minutes it shoots super hot steam (205 degrees F) out of the nozzle! 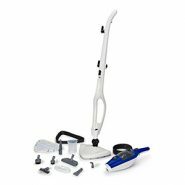 It’s actually a steam mop, but the little tank part is detachable so it can be a handheld steam machine also, and it comes with tons of attachments, nozzles, and brushes so you can use it for anything from steam mopping to steaming curtains to cleaning grout. I just put the bath toys in the sink and point the nozzle at them. Normally I would use the brush attachment and scrub while I steam, but the steam is HOT and you don’t want your hands anywhere near it. So for “loose” things like toys and anything else that isn’t held down, I just use the tiny pointed nozzle and steam the whole thing, then do a quick scrub with a brush after the steam has dissipated. You can also toss your bath toys in the dishwasher, and the heat from the dishwasher will kill the germs. 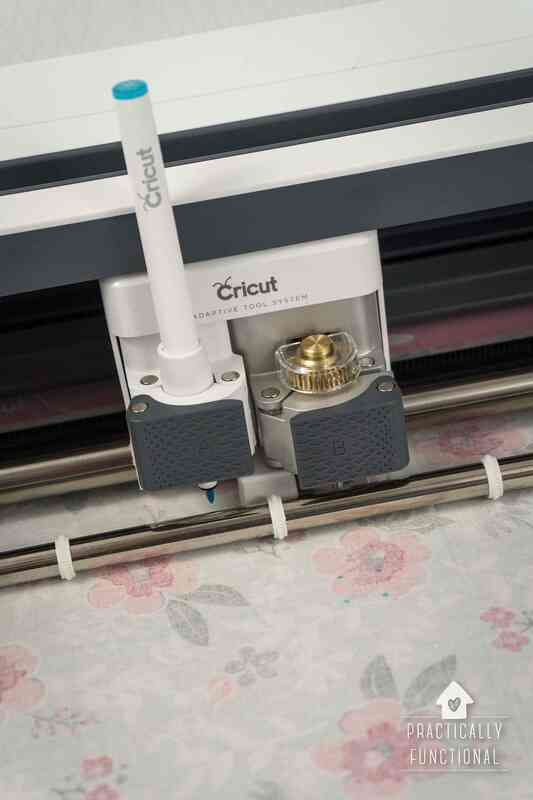 And for fabrics and linens that need disinfecting, a lot of washing machines have a “sanitary” setting, which basically just turns it up as hot as it will go to kill germs during the wash cycle. But I love steam for disinfecting things that can’t be tossed in the dishwasher or washing machine; it works great, and my machine is super portable! 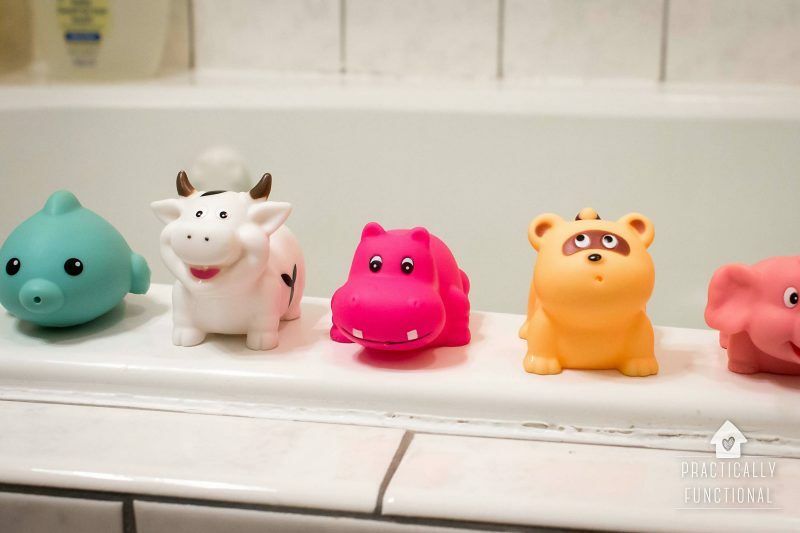 So if you really need to disinfect bath toys and get them totally clean, use bleach or heat! 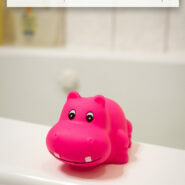 What are your favorite ways to clean bath toys and other stuff in your home? 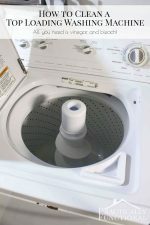 How To Clean A Top Loading Washing Machine With Vinegar And Bleach! « My Toddler Puts Everything In Her Mouth!